The package-type SYSMAC CPM PLCs feature a space-saving design to contribute to integration in small machines and wiring panel downsizing. The standard model of the micro PLC includes four different models of the CPU for AC power, DC power, relay output, and transistor output. The power supply, output I/O points, etc. are selected as needed. All the way PT100 input. In terms of programming environment, CPM1A not only has the functions of the small PLCs in the past, but also minimizes the installation space as much as possible, and realizes the elastic structure with 10 to 100 points of input and output points, and can also be connected. The programming control terminal has created a flexible application that has no prior precedent. It can not only replace the relay control cabinet, but also as a small controller or in sensor applications, it can also adapt to different needs of the production site. When the CPM1A-SRT21 CompoBus/SI/O link unit is connected, CPM1A/2A can be used as a slave unit under the CompoBus/S master unit. 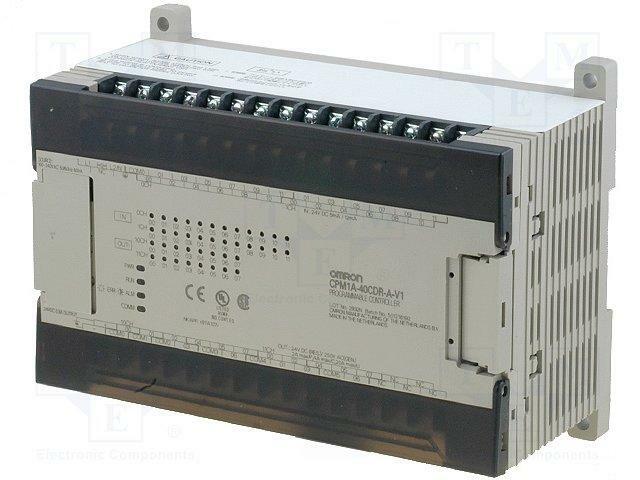 This link unit allows 8 inputs and 8 points between the master unit and CPM1A/2A. Output data exchange. The CPU unit of CPM1A/2A can connect up to 3 expansion units. In terms of the programming environment, CPM1A not only has the functions of the small PLCs of the past, but also minimizes the installation space and realizes the elastic structure with 10 to 100 points of input and output points. Moreover, it can also be connected to a programmable control terminal, creating a flexible application without prior precedence. It can not only replace the relay control cabinet, but also as a small controller or in sensor applications, it can also adapt to different needs of the production site.